I've been playing around with rhombus twists lately. It's weird. A hex twist is easy. A triangle twist... no problem. Square twists are child's play. Rhombus twists, however, really give me a lot of grief. Which was incentive enough for me to keep digging at them. 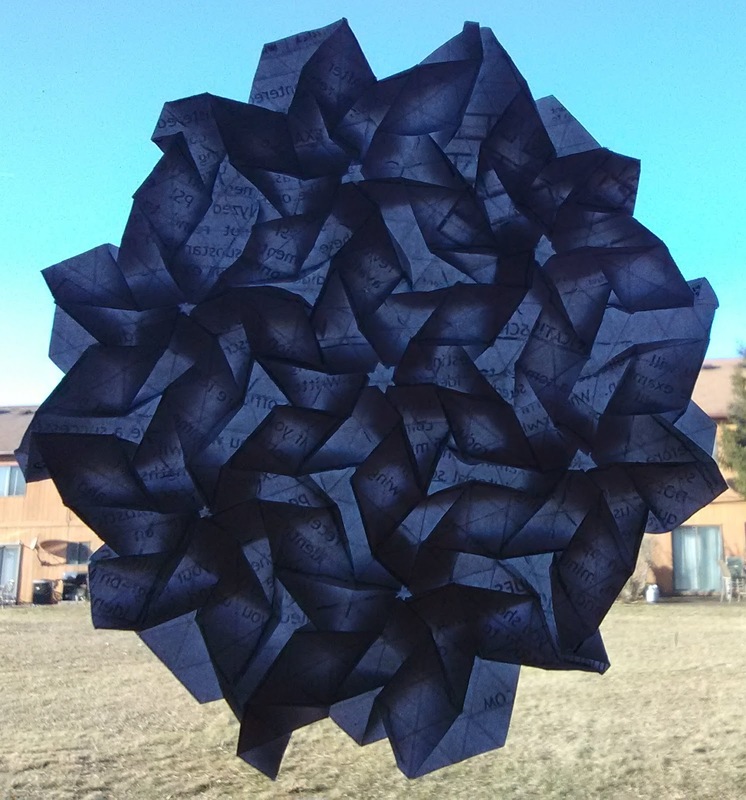 I saw a photo on google of this tessellation made by someone else. I don't know who. I wanted to replicate it. Or use it as a jumping off ponit for something along the same vein. It came out pretty nice. Not a bad use of a few hours. There are probably more rhombus twists in my future. Cleaning up this design or refining it. The rhombuses didn't defeat me. but the war still rages.